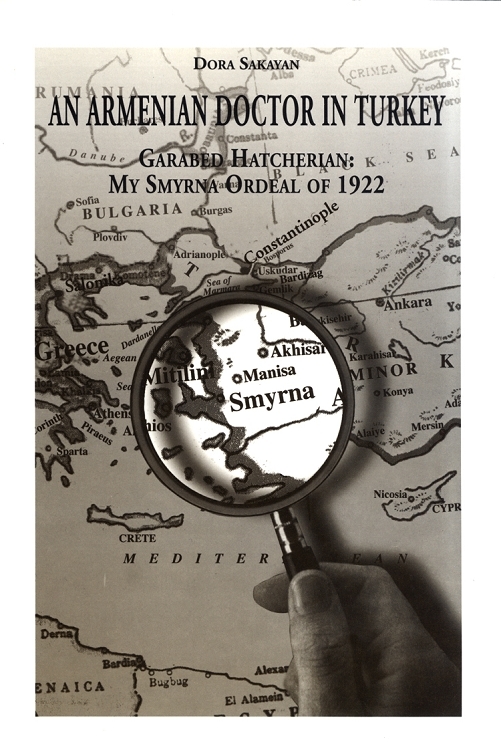 An Armenian Doctor in Turkey: My Smyrna Ordeal of 1922 is the personal journal of Garabed Hatcherian, the grandfather of the editor, Dora Sakayan. Hatcherian was the general surgeon and gynecologist at the Armenian National Hospital in Smyrna in 1922 before the Armenian and Greek populations of the city were targeted with mass violence by the Kemalist army seeking to take control of the city. His account describes these dark days. Dr. Hatcherian was fired from his position and arrested. Once released, he escaped with his family to the Greek island of Mitilini, but was forced to continue with the knowledge that the extended family he left behind in Smyrna was massacred soon after he fled. The journal entries end in June of 1923 once the family had settled in Salonika. The account is accompanied by family pictures, maps and a detailed bibliography for further reading on the catastrophe in Smyrna and more generally on the Armenian genocide.